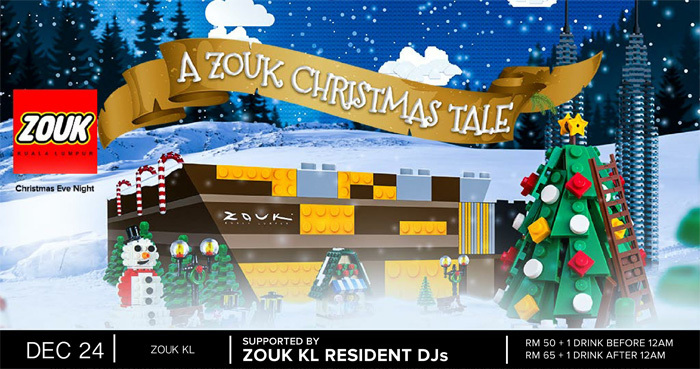 This Christmas and New Year’s Eve, ZOUK CLUB KL will be throwing a LEGO inspired spectacle! This celebratory experience will be one of a kind, as Clubbing experience in Malaysia will never be the same. Throughout these years, with the support from its loyal patrons, ZOUK CLUB KL has been voted and quoted as the best club country-wide and is the only club in Malaysia to be listed on DJ MAG TOP 100 Clubs Poll – Currently ranked #21 in the world. ZOUK CLUB KL has always been renowned for its spectacular, jaw-dropping displays and decoration displays festive seasons. 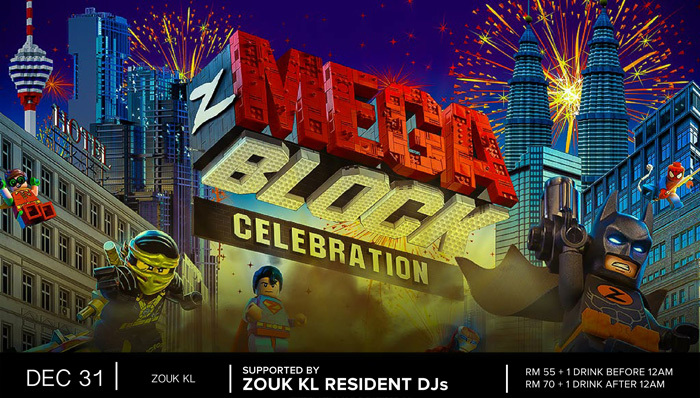 Now with LEGO’s inspiration in mind, it sets a unique opportunity for ZOUK CLUB KL to bring forth every adult’s childhood dream into a party-worthy clubbing scene. Cesqeaux (pronounced ‘Sesko’) is a rising musician, born and bred in Groningen, The Netherlands. Ever the innovator, Cesqeaux continuously works at different aspects of his artistry to keep his repertoire fresh: never-before-heard sounds, original visuals and new experiences. Since 2015, Cesqeaux has released three volumes of his Eauxmygod EP series for Barong Family, with a fourth coming up in 2017. With fully loaded USBs at the ready and creativity in abundance, Cesqeaux continues to set fans’ hearts on fire all over the world, from the United States to China to Australia. In 2016 Cesqeaux did two US tours, two Australia tours, and played major festivals like Tomorrowland (Belgium and Brazil) Mysteryland and Parookaville. A season of joy and sharing filled with fun memories. Who wouldn’t agree that your best times consist of your childhood memories? This year, ZOUK CLUB KL decided to reincarnate those nostalgic memories by using one of the most innovative designs inspired by LEGO; in hopes of making this festive season a vibrant and unforgettable one. It’s time to ‘LEGO’ of 2017 and ‘stack’ in 2018! Get ready for the most innovative and hyped up New Year’s Eve you will ever experience. This New Year’s Eve is all about music, drinks, friends, good vibes and the biggest party will be at no other than ZOUK CLUB KL – Malaysia’s Biggest Superclub! 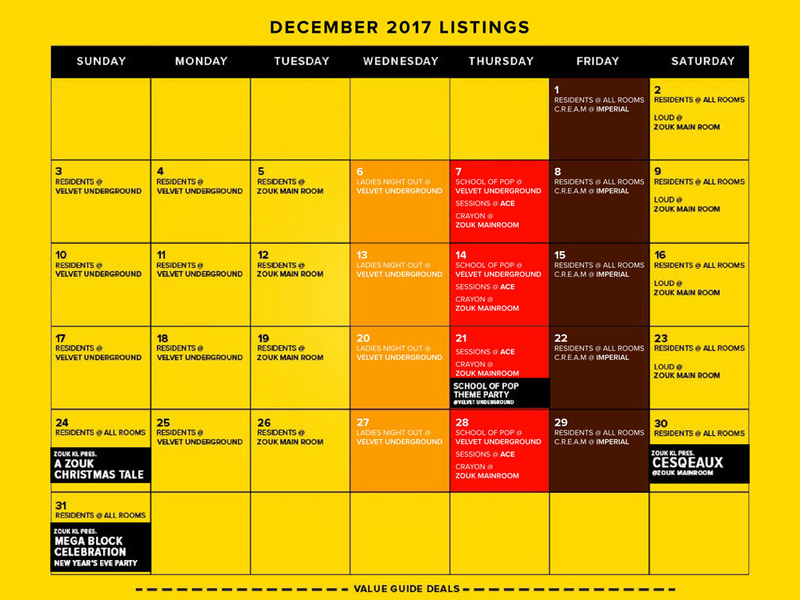 Get your ZOUK CLUB KL exclusive NYE Party Pack, while stocks last; and head to our LEGO themed rooms to enjoy what the year-end has to offer. Make sure you are present at any of our ZOUK CLUB KL rooms to witness a MEGA surprise we have installed for you… Together, we shall kick off 2018 with a big bang!